You clicked on this article! You took one individual action hoping to learn something new about increasing your lead revenue. Isn’t it such a beautiful thing that a single click has the potential to do so much? The point I’m trying to make is that while a single click takes very little effort for an individual lead, it can be the medium to providing further assistance to your leads and strengthening your sales funnel. It can be the key to automatically increasing your lead revenue. What’s the Best Way To Increase My Lead Revenue? The answer is a one-click, automated lead reprocess campaign. 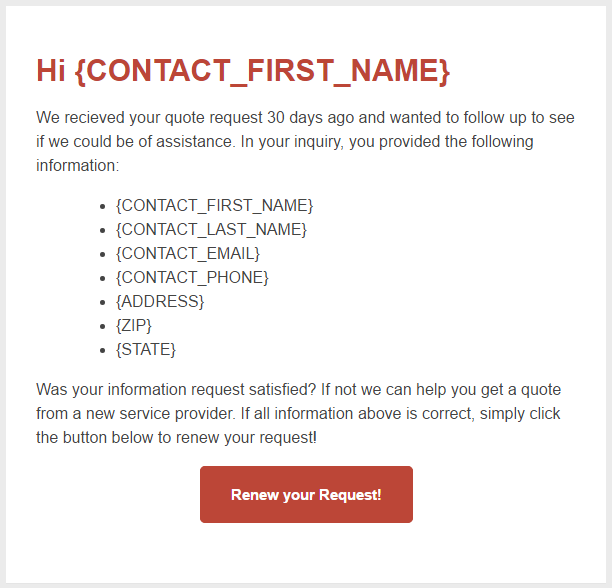 A lead reprocess campaign is an email marketing campaign that allows leads to automatically re-submit their information or quote request with a single click in an email, rather than having to redirect them to a landing page to re-fill an entire form. The lead’s original information is re-submitted into your lead distribution system as a unique lead and can then be sold in real-time to your network of buyers based on the custom business rules you already have set up. This completely automated campaign allows you to provide further assistance to leads who require additional contact and gives you the chance to increase your lead revenue on a lead that would have otherwise been forgotten after the original sale. How Does a Lead Reprocess Campaign Work? Lead reprocess campaigns monitor the actions taken by the lead within the email campaign. The lead’s information is not re-submitted until the lead clicks a button in an email requesting it. Once this is done, your lead distribution system looks up the original lead via email address, captures the additional information that was submitted with the first request, appends a unique lead source, and submits the information as a unique lead. Because this lead comes into your lead system as a unique lead, it is eligible to match and sell to any of your lead buyers. *Note: some lead companies utilize a duplicate check period. This means that if the same lead information (typically email address, phone number or both) enter the system within a specified amount of days, the lead will be rejected. If this is the case, you will need to delay your reprocess campaign to launch after this duplicate period expires. What If I’m Not an Email Marketing Expert? You don’t have to be! Reprocess campaigns are typically an extension of the auto-responder emails you are already sending. With the right software, the one-click reprocess option requires no coding or email marketing expertise. 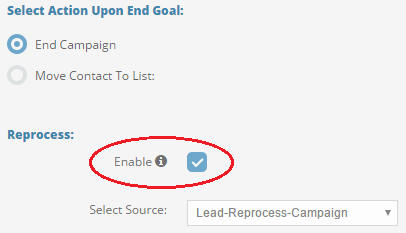 Simply set up the campaign to delay a certain amount of days, enable the one-click reprocess option and you’re done. One-click reprocess campaigns were developed by boberdoo.com as a feature in our Outbound Automation email marketing system. Because our email marketing system was built into our lead distribution system, we have the ability to perform the lead information lookup and reprocess function with relative ease. We help all of our clients set up their first reprocess campaign and this entire process can be easily duplicated for any leads in any lead vertical. If you’re interested in automatically increasing your lead revenue, there is no better way than with lead reprocess campaigns. If you’d like to get started, please give us a call at 800-776-5646 or fill out the form below. We can’t wait to see how much you’ll increase your lead revenue!